Deputy Commissioner of Police Deodath Dulalchan. 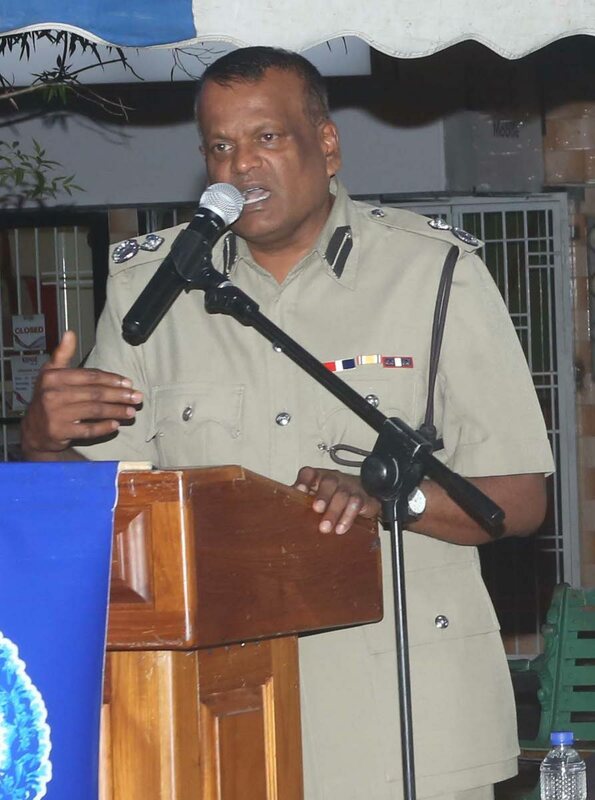 President Anthony Carmona’s failure to appoint a fifth member to the Police Service Commission (PSC), in keeping with the Constitution, may have contributed to the ambiguity that now surrounds the commission’s selection of Deputy Police Commissioner (Operations) Deodath Dulalchan as the country’s next Police Commissioner. As such, Dulalchan’s selection could be deemed unconstitutional, says criminologist and former PSC chairman Prof Ramesh Deosaran as he weighed in on the commission’s choice against the backdrop of reports there was a split over the selection. “It will shift the debate from just the appointment of the man to the mechanics of the appointment and I am sure when it comes to Parliament, there will be challenges on these grounds,” he said yesterday. “It appears that the commission is not constitutionally constituted and if you have only four members, that does not give you the right to have a quorum. A quorum is a derivative of a full body of commissioners, which we don’t have. Sunday Newsday understands that of the four people on the existing commission, two, including chairman Maria Therese Gomes, supported Dulalchan for the post of top cop, while the other two did not. As chairman, Gomes, outside of her substantive vote, also gave a casting vote, which cemented Dulalchan as the commission’s choice. But yesterday, Deosaran said the appointment of a fifth member to the commission could have changed the outcome of the selection process. “There has been a vacancy for a long time now, about a year. And this affirms the point that of the vacancy was filled, the decision would have been clearer, less ambiguous,” he said. Deosaran said the issue was an extremely serious one, with potentially far-reaching implications. “I have checked the legal aspect to it and the Constitution says a commission constitutes five members. So, if there are not five members, then doubt arises as to the validity of these decisions. “If this is the case, that there are only four members on the Police Service Commission, with one member apparently missing for some time now, the question arises as to why the President did not fill that vacancy as expeditiously as is apparently warranted. He said the decision to move forward with Dulalchan now rests with the House of Representatives. The source, speaking on the condition of strict anonymity, said although auditing firm KPMG was contracted to do an analysis of the candidates based on a points system, there was alleged interference in the process. “The law states that a firm is to be selected to do a comprehensive analysis to select persons on points,” the source said. “KPMG had listings with merit points for CV, medical, operational reports and a mock, media conference, a number of different things. The source claimed, however, members of the PSC usurped their authority, bypassed the laws and ignored KPMG’s point system. “They decided to have their own personal interview to select somebody who was very low on the point system,” the source alleged. The source also described as “total stupidity” the fact that Dulalchan was selected for the position of Police Commissioner, a post for which he never applied. There were also questions about Gomes’ term which ends today, and the status of the PSC. President House did not respond to calls from Sunday Newsday yesterday. Reply to "Carmona’s delay on 5th PSC member affects process, CoP in doubt"